Fifty years ago, thousands of visitors from around the world crowded into Flushing Meadows Corona Park to attend the 1964-1965 World’s Fair, dedicated to “Man’s Achievement on a Shrinking Globe in an Expanding Universe.” Most, if not all, of those visitors probably had no idea that a man who had already achieved quite a lot in his lifetime made his residence less than two miles away from the Fair: Louis “Satchmo” Armstrong. Jazz’s greatest genius had made Corona, Queens his home since 1943. By 1964, Armstrong didn’t have much free time to spend there as "Ambassador Satch” was still traveling the world, more popular than ever after his surprise number one hit record, “Hello, Dolly!” knocked The Beatles off the top of the charts on May 9, 1964. 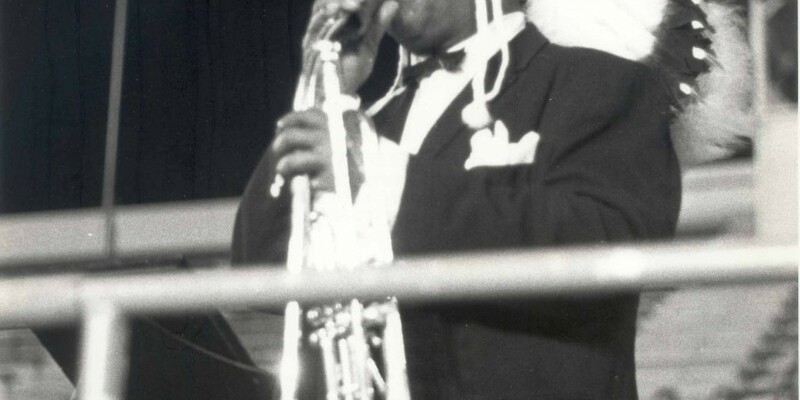 To celebrate the Queens resident’s big hit, the World’s Fair declared June 30, 1964 to be “Louis Armstrong Day.” For once, Armstrong didn’t have to ride the band bus or race to catch an airplane; he just had to pack his trumpet and make the short drive to Flushing Meadows Corona Park. 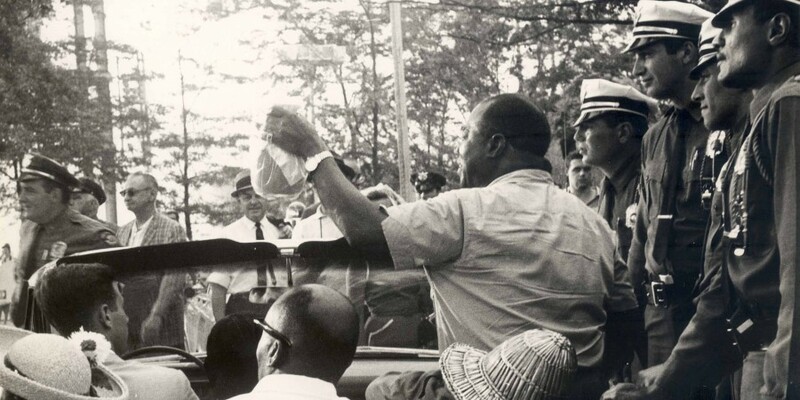 A motorcade drove Armstrong through the fairgrounds that afternoon, before Armstrong and his All Stars put on one of their usual spectacular evenings of entertainment at the Singer Bowl (which would later be renamed Louis Armstrong Stadium). 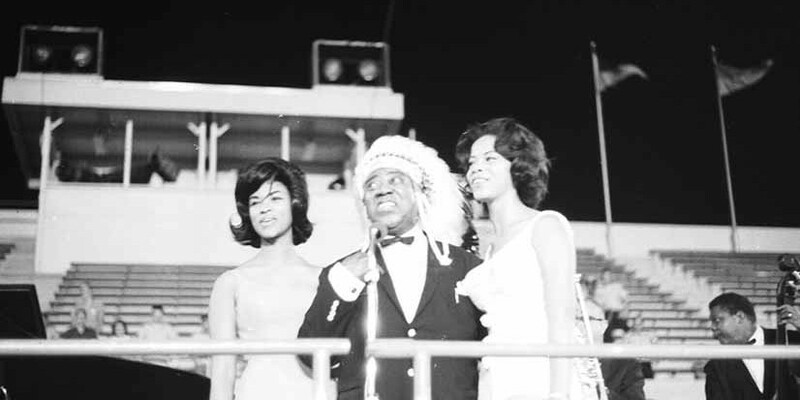 Armstrong’s close friend and personal photographer Jack Bradley was on hand with his camera to document some of the day’s events, including photos of Armstrong’s motorcade, of the trumpeter on stage wearing a Native American headdress and posing with international fans backstage. Bradley’s photos of Armstrong at the World’s Fair have never previously been exhibited. 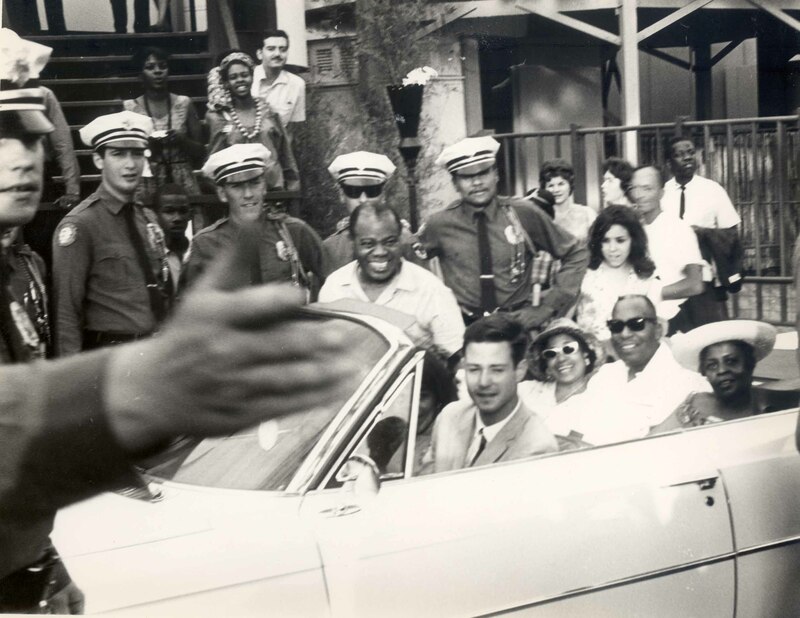 Thanks to Bradley’s photos, we can now take a peek into what must have been a very memorable day in Queens for one of the borough’s true kings. Ambassador Satchmo at the World’s Fair is presented by The Louis Armstrong House Museum in partnership with the Queens Museum. The Louis Armstrong House Museum tells the story of the meteoric ride of one of the greatest musicians of our time. All of its furnishings are original and have been preserved, giving visitors the feeling that Louis & Lucille just stepped out for a minute. The museum conducts guided house tours and features new exhibitions each season. 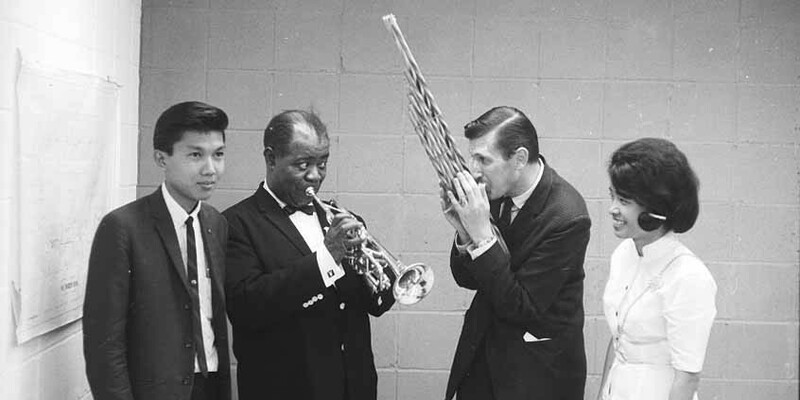 Thanks to Louis’s home-recorded private tapes, visitors can hear Louis at home playing his trumpet, telling jokes, eating dinner, and more! 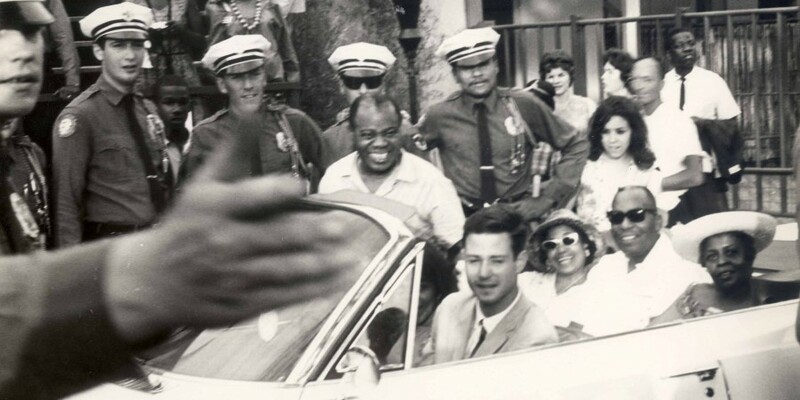 It’s an intimate visit as if you can sit down and have a cup of coffee with Satchmo himself. 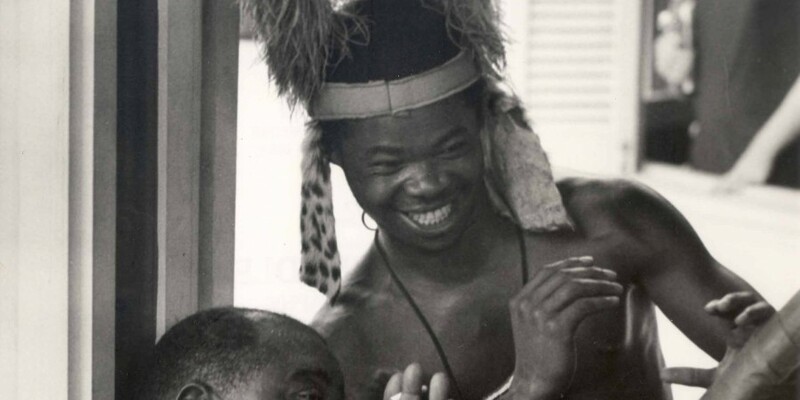 The museum owns the largest publicly held collection in the world devoted to a jazz musician. The Louis Armstrong House Museum is located at 34-56 107th Street, Corona, NY and can be found online at LouisArmstrongHouse.org.